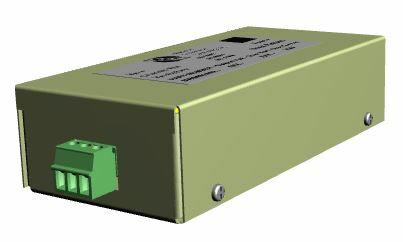 This DC-DC power supply offers up to 140 W of power and is designed to meet rough environments as a point of load (POL), non-isolated solution. It’s efficiency is up to 97%. It offers factory settable output features such as output voltage, over voltage, and over current which can help accommodate line drop in a system. Output voltage can be specified at time of order from 3.3 to 28 V. It is compact in size and weighs ~0.6 lbs. Designed to meet MIL-STD-461 and MIL-STD-202.